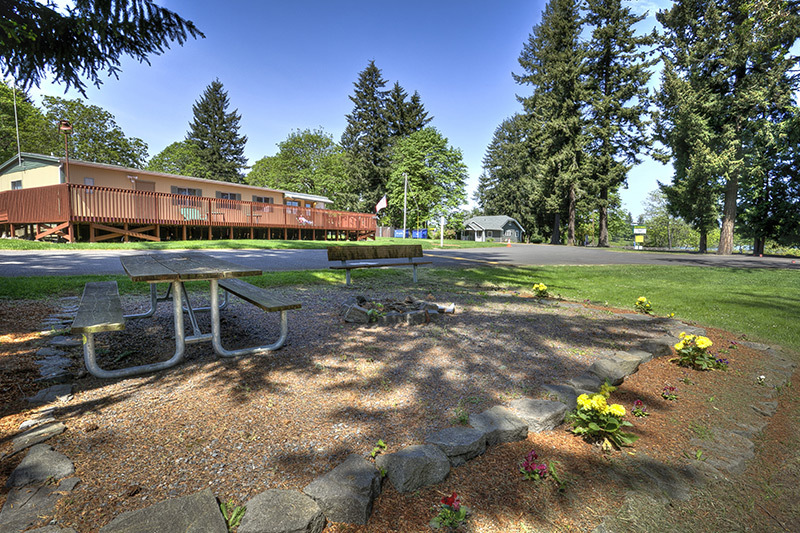 Dexter Shores RV Park | Convenient Location with a Beautiful View! 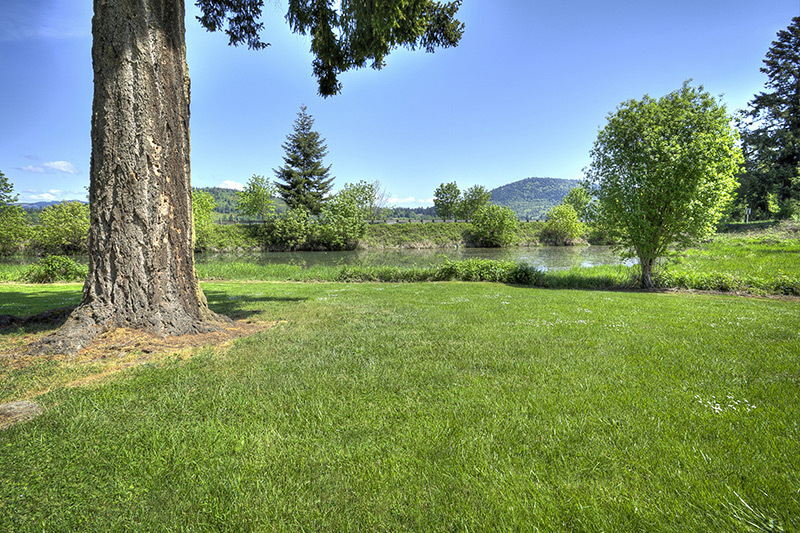 Most of our sites have patios and offer grass, shrubs, trees and a wonderful view. 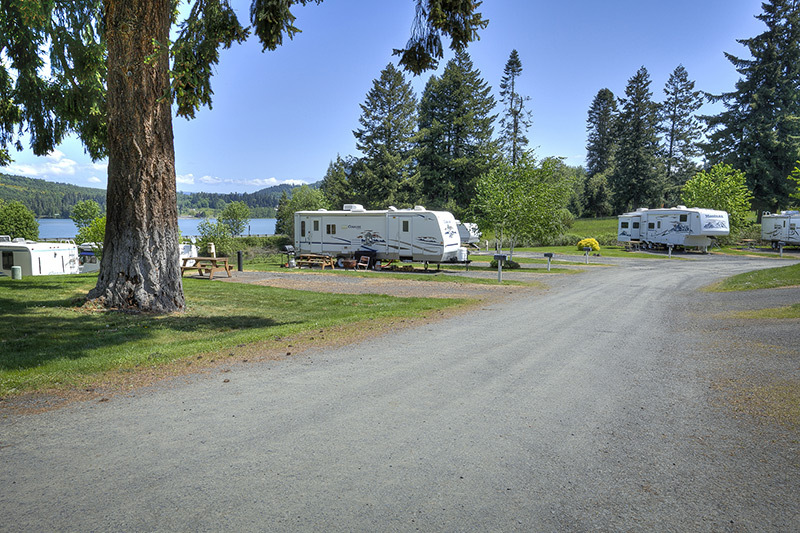 Hoodoo’s Dexter Shores RV Park is located in Dexter, Oregon, and sits across Highway 58 from beautiful Dexter Lake. The 1440 sq. 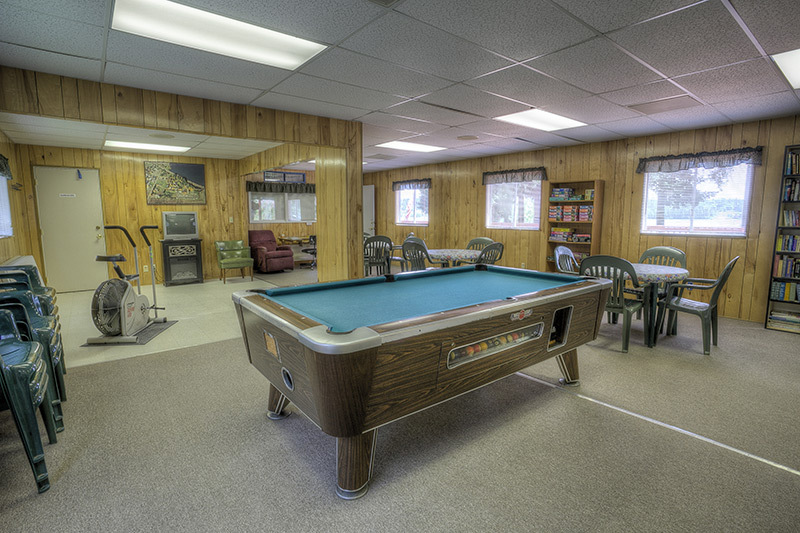 ft. building offers a library, arts and craft area, pool table, game tables, kitchen, TV and a great outside deck area for socializing. 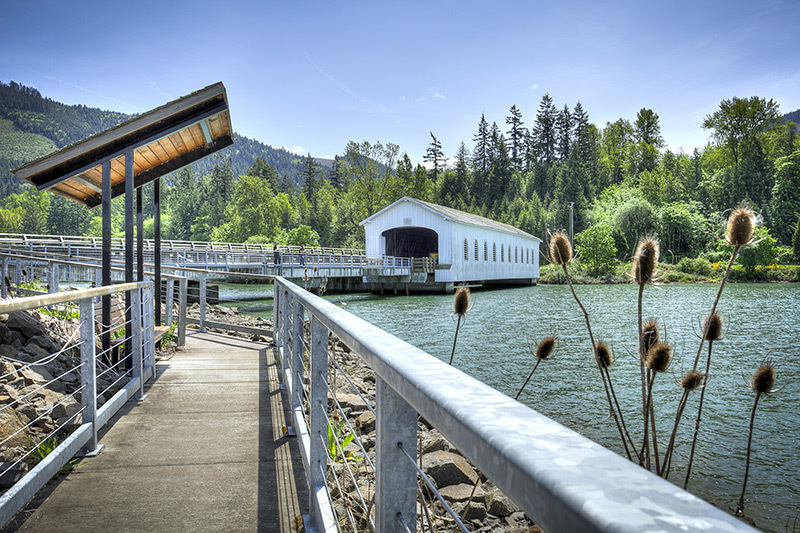 There are covered bridges, fish hatcheries, Dexter Lake, and Lowell & Dexter State Recreation Sites, which offer walking, bike riding, Frisbee (disc) golf, and more. 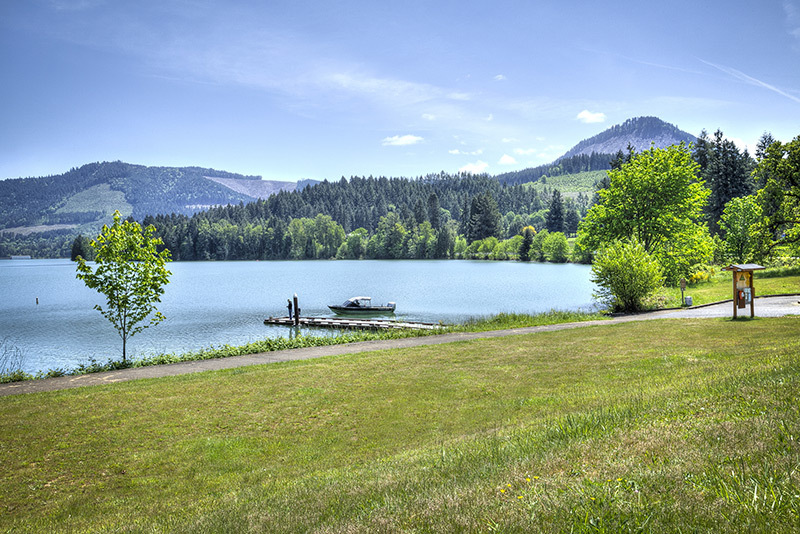 Boat Ramps are available at Dexter & Lowell State Recreation Sites. They are located just a short distance away. Beautiful, serene, quiet, colorful, and majestic are just a few of the words that describe Dexter Shores. 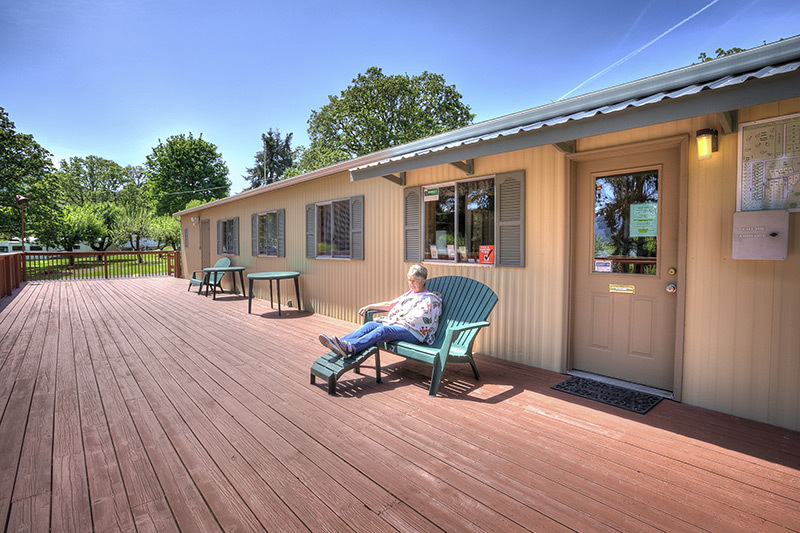 The clubhouse/deck area looks out over the lake and is handicap accessible. 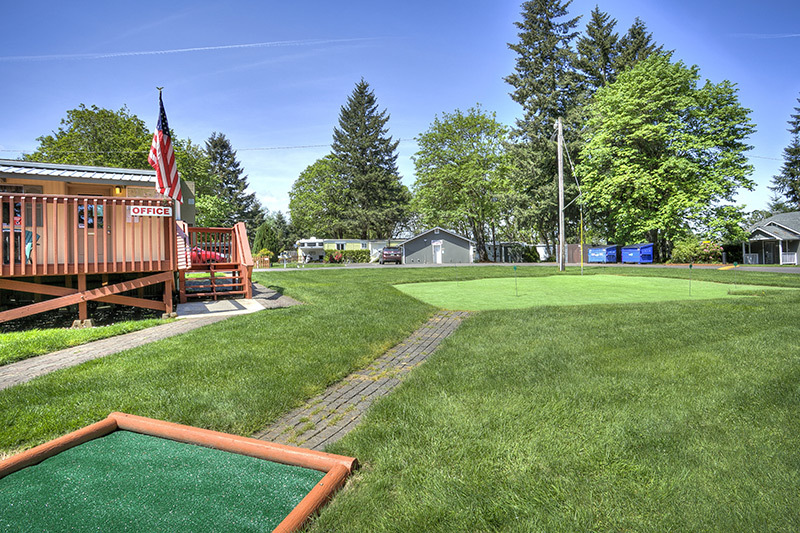 A putting green is available for your enjoyment. Work on your short game or have fun with friends with your own putting contests.